A pawnbroker is an individual or business who lends money on an item of personal property (pawn) and earns interest. The item being pawned is usually referred to as a pledge, collateral, or simply a pawn. Pawnbrokers always test out the merchandise and research the value before making a loan on your items of value. What are the fees associated with a pawn? Pawn loans have a range of fees that vary from company to company. At Quik Pawn Shop, the fees on a pawn loan range from 20-25% per month. Pawn loans under $100 are charged a 25% interest rate. Pawns starting at $105 and up are charged a 20% interest rate. For instance, if you want to pawn a lawn mower for $100, then your payment to get your collateral back after 30 days would be $125. Firearms, due to the complexity of complying with all of the regulations, are always charged a 25% monthly rate. Rates on loans over $1,000 can be much lower. What is required to get a pawn loan? Once you think you’re ready to make the move to pawn your item, all you need to bring to the pawn shop is your item(s) and a valid government issued ID. You’ll be made an offer based on an evaluation of your item and be offered a percentage of what the item is selling for in the current market. With this easy-to-get approach to lending, pawn loans allow borrowers to gain more flexibility to meet their immediate needs when they need a quick leg up. Will the pawnbroker check my credit? Good news! No more damaging your credit in the event that you need money now. Unlike other types of loans, pawn loans are not credit based. The pawnbroker will not check your credit and if you default on the loan, pawnbrokers will not report the defaulted loan to credit bureaus. Pawn loans are simply a loan against your collateral, so in the event that the pawnbroker needs to recover the unpaid loan amount, the item is forfeited over to the pawnshop for reselling. Hopefully these questions and answers will help you understand the overall picture of how pawnbroking works so that your experience flows as smoothly as possible. 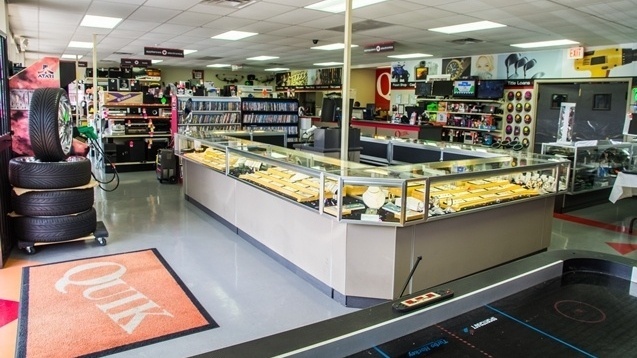 If you think you’re ready to pawn an item, look to Quik Pawn Shop. Quik Pawn is a family owned business with a customer-first mentality. They have been operating in 15 Alabama locations for nearly 40 years! Speak to the friendly team at 855-402-PAWN (7296) to get started or click here to find a Quik Pawn Shop near you!